When it comes to your Lexus, we’re sure that you want to keep it in as good of condition as possible. 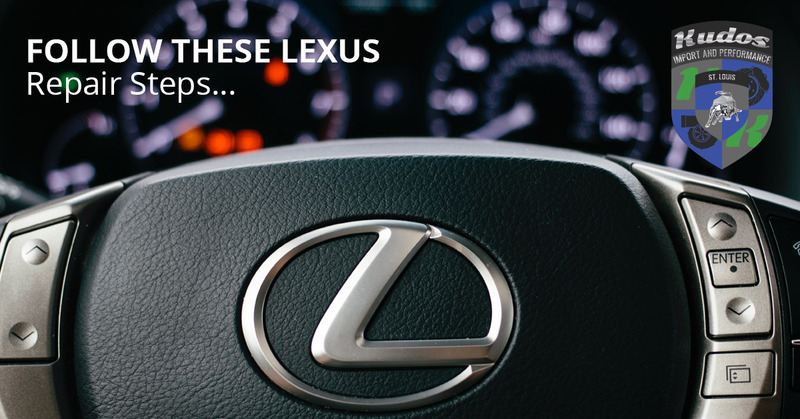 Your Lexus is an investment and, as such, should be treated as such. Here at Kudos Import and Performance, we are experts when it comes to Lexus repairs and, in today’s post, we wanted to go over the exact steps that you need to take in the event that your Lexus needs to be repaired. We hope that by the end of this blog you have a more confident understanding of what to do if your Lexus becomes damaged. Continue reading below to learn more. Assess: The first thing you need to do when dealing with a repair is to assess the level of damage that has happened to your vehicle. Some repairs, such as small dents, cracked windows, or minor electrical problems are less serious than other forms of damage and, while they need to be repaired, are not exactly a pressing issue. If the needed repairs are serious enough, make sure that your vehicle is still safe to operate before trying to take it into a repair shop. Choose the Experts: While we might sound a little biased, we feel that it is extremely important for you to only take your Lexus to a repair shop that has experience handling luxury vehicle repairs. Luxury vehicle mechanics, like the expert staff here at Kudos Import and Performance, are specially trained to handle issues with Lexuses and other luxury vehicle brands. Not only will they be better able to handle your repair needs, they will have the knowledge, tools, and experience to complete the job in a professional and timely manner. Stay Aware: After your Lexus has been repaired, it is important to pay close attention to whatever component was worked on. While 99 percent of the time their will be no issue with the repair that was completed, every once in awhile the problem can crop back up. As the vehicle owner, it is your responsibility to be aware of the state of your vehicle, not just for your safety but for the safety of those around you as well. If you are in need of repairs for your Lexus, please do not hesitate to contact us today at Kudos Import and Performance. We have been providing services to the Chesterfield area for years and we are certain that we can handle any issues that you may have.